Through the Catalyst Fund for Impact Measurement in Africa, supported by the United Kingdom’s Department for International Development (DFID), the Aspen Network of Development Entrepreneurs (ANDE) South Africa chapter commissioned Genesis Analytics and Impact Amplifier to conduct research into the impact measurement and management (IMM) landscape in South Africa. Mixed research methods were used to engage investors, intermediaries and investees in South Africa. The infographic presents key findings in an interactive format, accompanied by supplementary guide. These publications explore the current IMM landscape in South Africa, why and how impact is measured, the benefits and challenges of measurement and management, and how the data is used and reported. Through this publication, the authors and funders of this study aim to catalyse conversations and action, towards strengthening IMM practices in South Africa. There is growing evidence and collective understanding that gender equity is good for investment, good for businesses, good for society. However, this understanding still has not translated into widespread action in the investment world, often because investors are unsure how to incorporate gender into their analyses. Humentum and the International Non-Governmental Organization (INGO) Impact Investing Network published their second impact investing report, Amplify Impact Investing 2: The Next Mile of Impacting Investing for INGOs, in December 2018. This report is the follow up to the original Amplify Impact Investing report released in 2016, Amplify Impact Investing: the INGO Value Proposition for Impact Investing. In recent years, international non-governmental organizations, traditionally known for implementing donor-funded programs for social and environmental impact around the world, have begun to make a distinctive imprint on the impact investing ecosystem. The report updates our knowledge on the role of INGOs in impact investing, and discusses their evolution in the market. It concludes that INGOs are continuing to emerge as key players in impact investing. Learn more. Elrha released the report Too tough to scale? in October 2018. 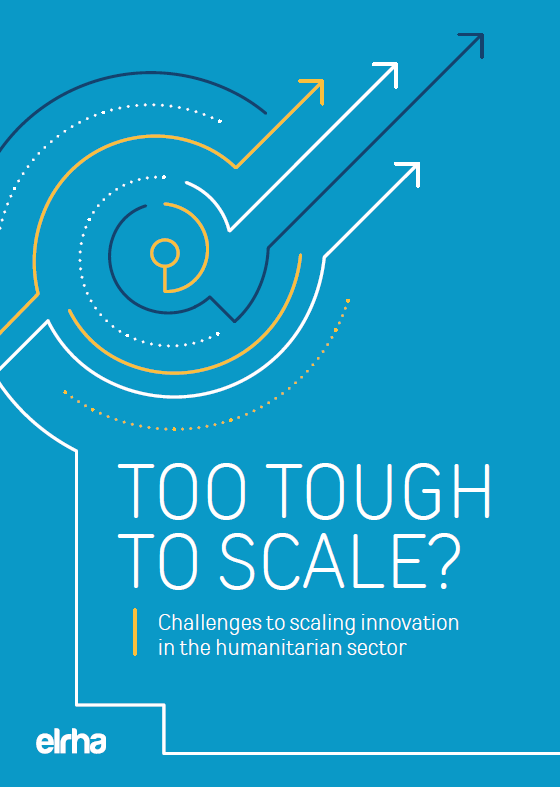 Despite increased investment in the area, scaling humanitarian innovation is still a big and ongoing challenge. The report explores why more innovations aren’t successfully scaling and identify key barriers. Drawing from Elrha’s own experience in funding over 150 humanitarian organisations to develop, test and scale many highly impactful innovations, and drawing on research and experience from the social and development sectors, Too tough to scale? identifies 13 key barriers across five different challenge areas. The report goes on to provide clear calls to action for different humanitarian actors and encourages those groups to contribute to sector-wide transformative change.